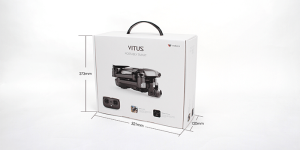 With genius-like imagination,we integrate top drone configuration for aerial photography into the mini foldable airframe of Vitus Lite. 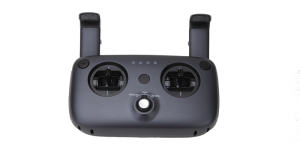 The dual-module satellite positioning system ensures flight safety and stabilization. 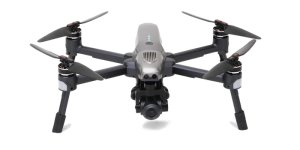 The 4K aerial camera, 1080P HD video transmission system, the mechanical stabilization gimbal and 28-miute flight duration creat a delighful aerial photography experience. Moreover, the wonderfully made AR games make the flight experience far more interesting. The camera supports 4K 30fps/1080p 60fps videos and images of 12 megapixels. The 85degree ultra-low-distortion wide-angle lens helps to keep the original details and makes your works more inspiring. Through infrared TOF technology and 3 high-precision sensors,the smart obstacle avoidance system of the aircraft is able to detect obstacles 8 meters away in 3 directions(front,left,right. )and slows down,preventing risks brought by misoperation and ensuring flight safety. In Hand-gesture selfie mode, Vitus Lite is able to recognize human hand movements and takes pictures. Drop your transmitter, make a pose and get a selfie. Through algorithm technology of deep learning, objects can be automatically identified and followed. THis will se your hands free, leading to wilde imaginations for first-class movies. The DEVO-F8S remote controller has not only a mini size and confortable hand feeling, but also combines the antenna with the mobile phone holder, making sure reliable signal and easy usage. 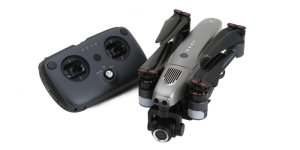 In addition, the dual-thumbwheel design allows you to easily control the movement of the gimbal and operate the aircraft. 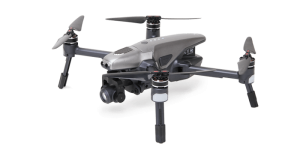 NOTE: The Low configuration version Without Optical Sensors & Forced Avoidance function.